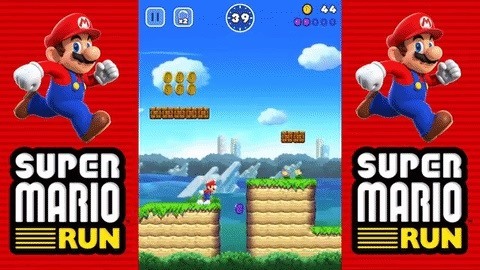 As a side scrolling game, performing various jumps in Super Mario Run on your iPhone or Android is as vital as eggs in a breakfast buffet. Tapping away on your phone's screen like a madman won't accomplish much in this game, so it's imperative that you familiarize yourself with Mario's basic moves if you want to become proficient in coin collecting and scoring points. Thankfully, there's not that many jumps to master in Super Mario Run, and learning how and when to use them is a straightforward process. So if you want to learn more about these basic moves, keep on reading to see how they all work. 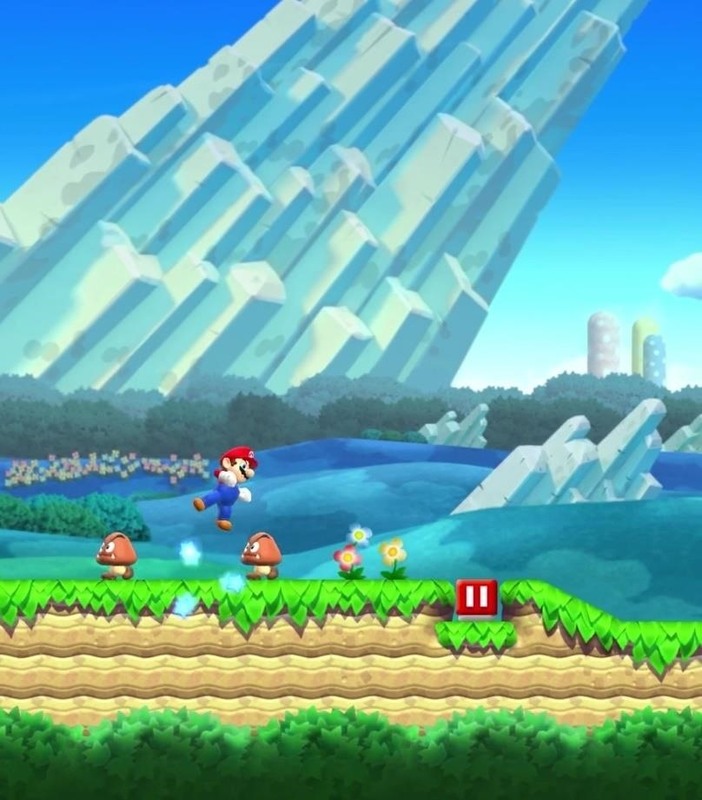 The micro jump is the most basic move Mario can perform, and it's automatic. 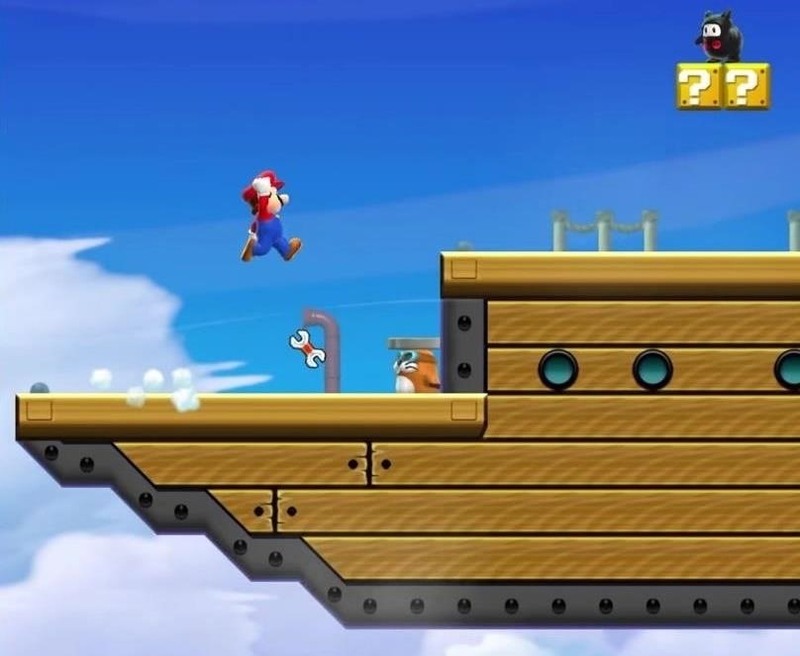 Mario will vault over small obstacles and opponents on his own, so you won't have to worry about getting knocked out by a random Goomba as you run around. 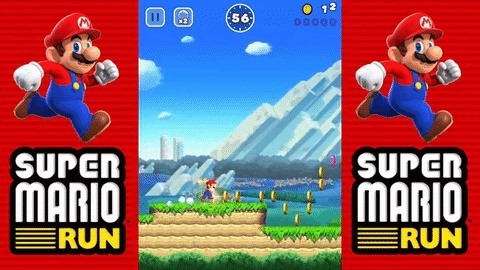 Be careful though, as running into enemies in midair can spell Mario's demise. The standard jump is the most common player-initiated move Mario can execute, and it's done by lightly tapping on the screen. This is the main way to interact with the game, and it's a great way to dodge and attack opponents or hit low-hanging blocks for coins and other perks. 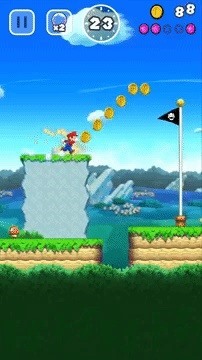 Tapping and holding will give Mario an extra boost for a higher jump, which is ideal for reaching coins, blocks, and platforms that are further out. Letting go of the screen will naturally cause Mario to descend, so take a moment to get the timing of this maneuver down pat, because it can mean the difference between collecting all the coins or playing the stage all over again. 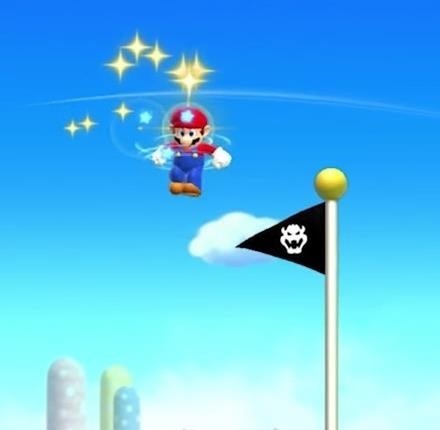 For those times Mario needs to a little more hang time, such as landing on top of the flag pole at the end of each stage, performing a spinning jump will give Mario that extra boost to make his jumps even longer. 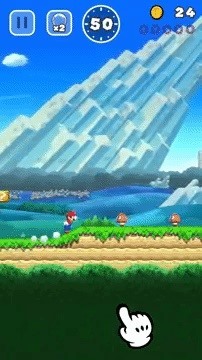 To perform a spin jump, simply tap the screen again while Mario is already in midair. The reverse jump is a nifty maneuver Mario can perform whenever he runs into a wall, and is done by tapping the screen as soon as Mario hits a facade. This trick is especially handy when falling into a pit, as it can save you from near-certain death. Once you've mastered these five jumps, you'll be well on your way to mastering Super Mario Run on the whole. What's your favorite jump? Let us know in the comment section below.